It doesn’t matter whether you’re planning on selling your property or not, enhancing its curb appeal should be one of your priorities. We do it with the interior often, so why should the exterior be any different? Besides, knowing how easy it is to form an impression about the owners simply based on the looks of the exterior, if you want to leave the right impression and inspire others, giving them ideas for their properties, then it’s time to take to some outdoor makeover project, even if your budget is tight, with the following steps. 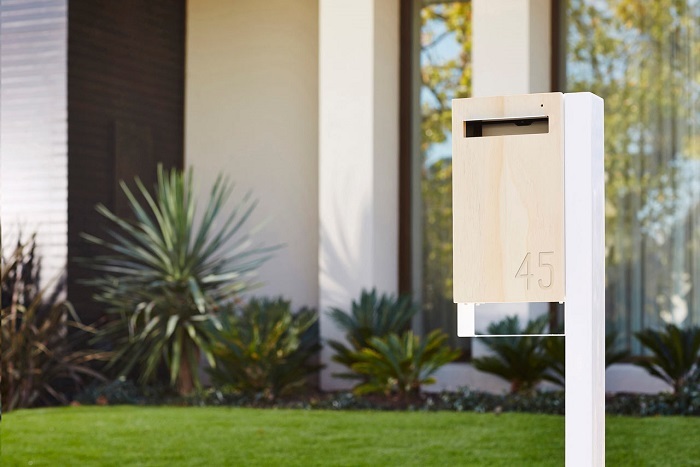 Though often forgotten as one of the primary curb appeal ingredients, the letterbox has a great deal of say in it, which is why you should consider upgrading the look of yours or possibly purchasing one of the many beautiful contemporary letter boxes amazing with their seamless designs as much as with the materials being used, in the likes of accoya wood and stainless steel. Snail mail may be considered as a second choice after emails, but it’s not obsolete, we still depend on it for bills, packages and Christmas cards, so your letterbox deserves the attention you can give it. You even have the chance to customise contemporary letter boxes with engravings, or stylish planter boxes that you can fill up with a bit of greenery. Speaking of greenery, it’s another important step you can’t miss out on. Whether it’s adding trees for some privacy and shade, bordering the pathway from the lawn with some vibrant and scented shrubs, or filling up gaps with colourful flowers, it’s up to you, there are plenty of options to choose from based on your preference. The secret of plants is they immediately make the space lively with their natural beauty, and as a bonus you’d get to enjoy the benefits of gardening. Having a lush garden isn’t just the sight for sore eyes during the day, but also throughout the night. There’s so much you can accomplish with the help of lighting. Add some of the wide range of exterior LED lights, such as floods or deck, and you’d be able to make for a dramatic look at night, showcasing your beautiful trees and shrubs, or creating special illuminating effects only lighting up certain bits like the trunk or the foliage. On the plus side, the lighting fixtures also help by adding to your safety and security.